CRAZY COOL GROOVY!!! : #BLACKGIRLMAGIC #BLACKGIRLSROCK - SOUTH AFRICAN WOMAN THROWS BIG BOOTY CLAPS BACK At ATTEMPTED BODY-SHAMER!!! #BLACKGIRLMAGIC #BLACKGIRLSROCK - SOUTH AFRICAN WOMAN THROWS BIG BOOTY CLAPS BACK At ATTEMPTED BODY-SHAMER!!! 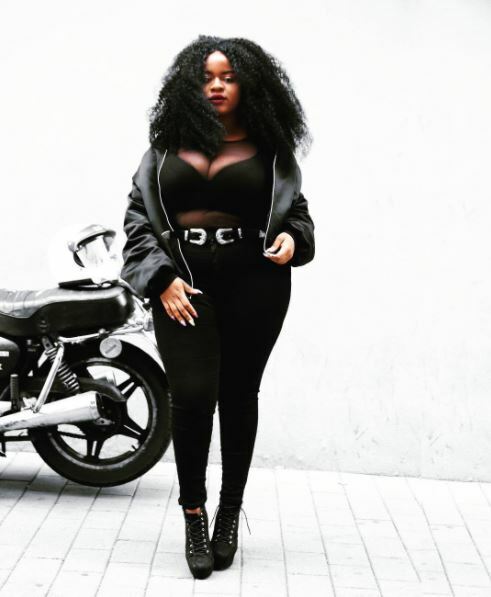 Meet SOUTH AFRICAN Photographer - PLUS SIZE Blogger LESEGO LEGOBANE a.k.a. THICKLEEYONCE!!! "Girls I like vs Girls that like me..."
The tweet features a photo of a petite woman to the left, and; THICKLEEYONCE to the right.